A round dining table can help create a tone of intimacy in your kitchen or dining room. Everyone is on equal ground, so to speak. Since everyone is the same distance from each other, there's no straining to hear convesation at the other end of a long table. Round tables can also pull double duty for family fun - eat dinner, then move straight onto game night! From formal to country chic, here are some of our favorite ways to style a round dining table with chairs. For a casual and inviting look, try pairing solid wood chairs with a solid wood table. The finishes don't need to be an exact match - look for colors that have similar undertones. 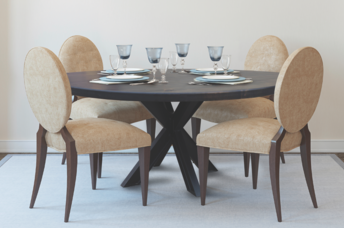 Solid wood Round Pedestal Dining Table with Elizabeth Dining Chairs. 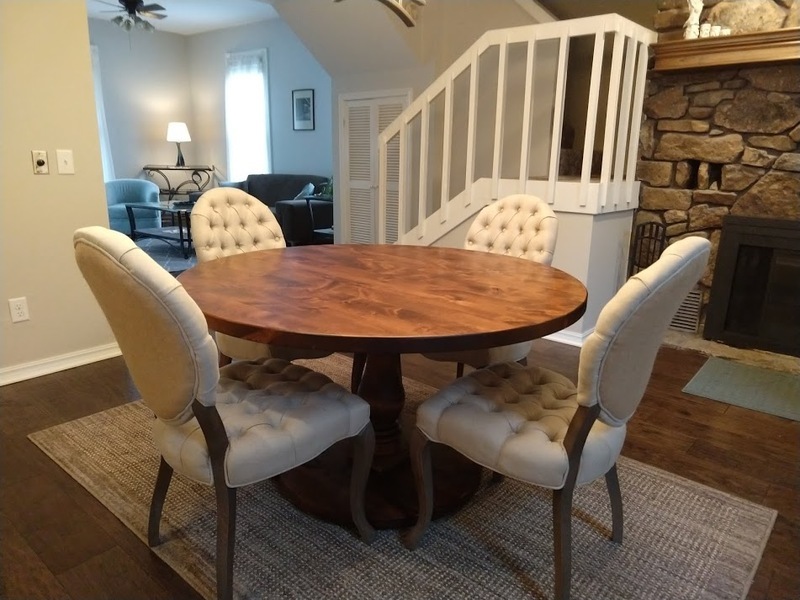 Solid hardwood Round Heirloom Pedestal Table with Thomas Dining Chairs. The client brought in a unique buffet to complete the look. Love the industrial look but don't want to get too "lofty" in your home? Try pairing an industrial table with a metal or steel base with natural fiber chairs or upholstered chairs. 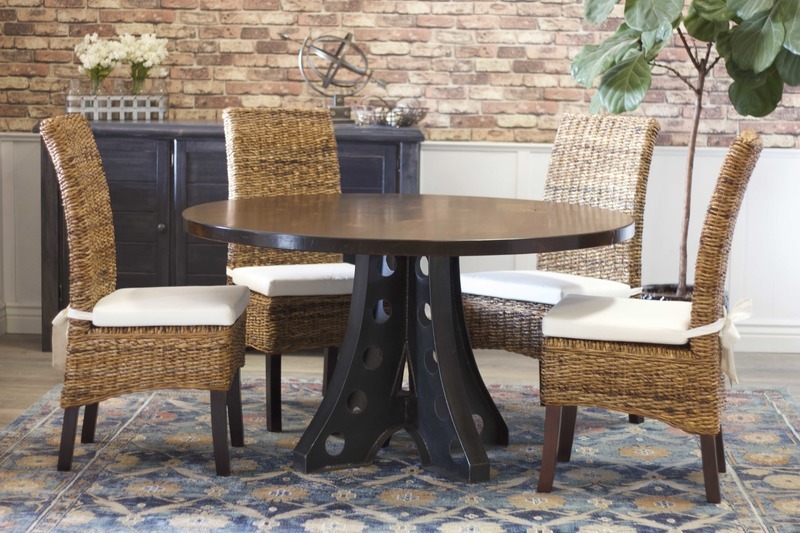 Round Amelia Industrial Pedestal Table paired with Banana Leaf Dining Chairs. 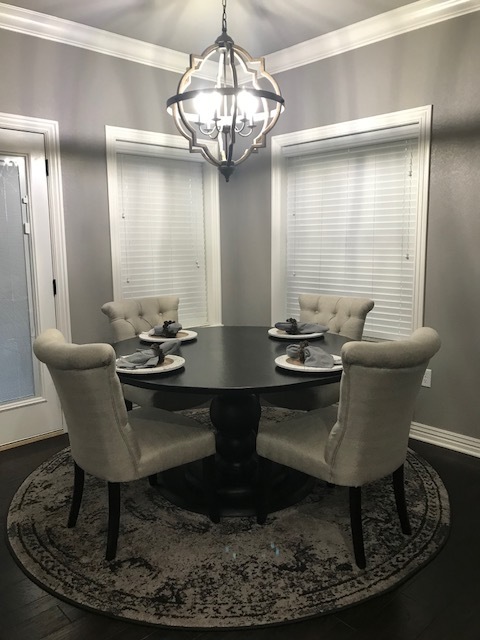 Round Shiloh Industrial Pedestal Table paired with traditional round back upholstered chairs. Check out our Sophie chair for a similar look! 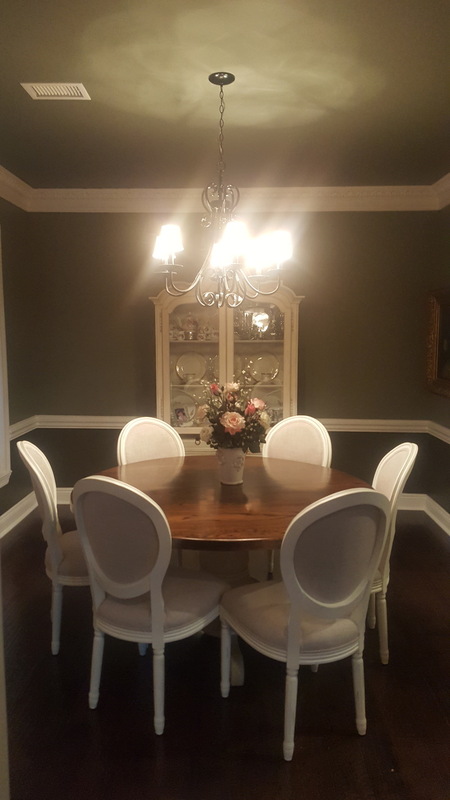 Pair a solid wood round table with formal, straightback dining chairs for a look that is elegant and timeless. The high gloss finish on this round table is accentuated with a nearly black stain, which contrasts beautifully with the light leather parsons style chairs. 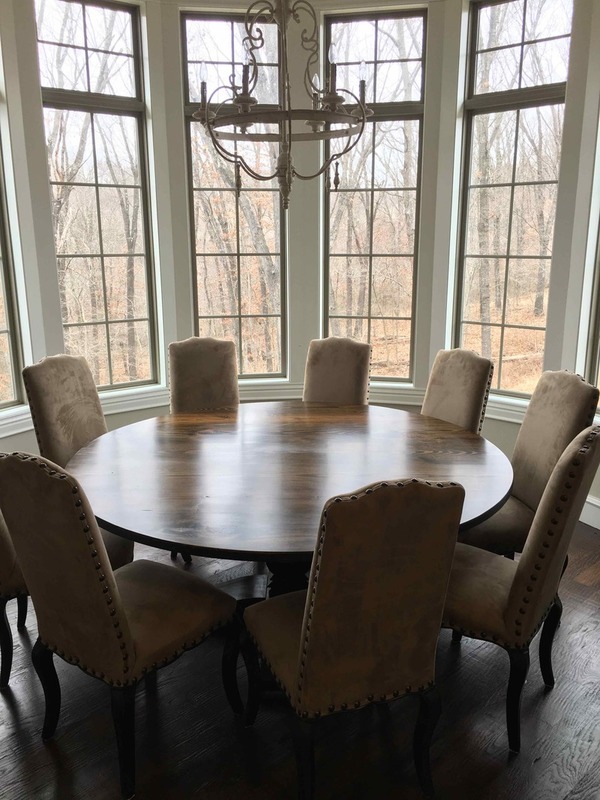 This large round table is paired with camel back dining chairs in a velvet upholstery. James+James offers custom sizes for round tables. Let us know what you're looking for! 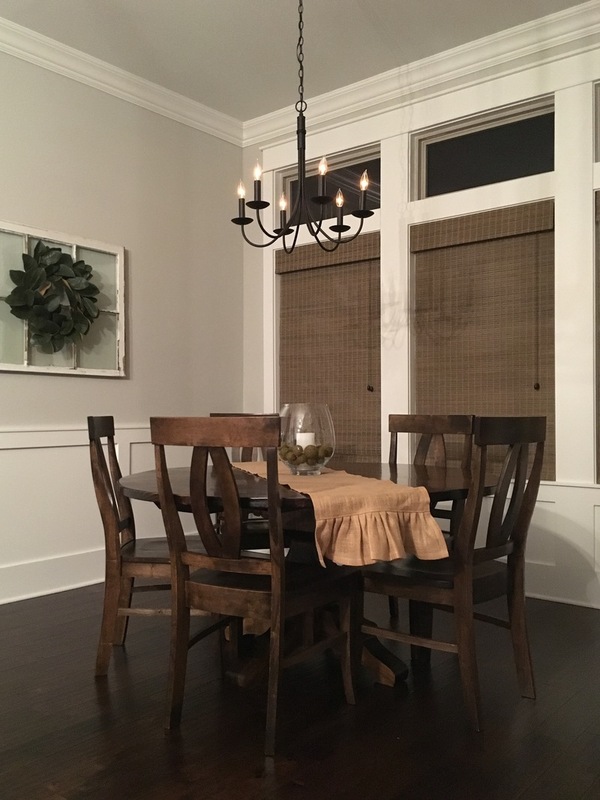 Rich, warm wood tones on solid hardwood tables are complimented with lighter chairs with feminine profiles. This solid Red Oak round pedestal table is paired with woven cane back chairs. The warm Red Oak top contrasts beautifully witth off white chairs, which also tie in with the shabby chic china hutch seen in the background. Our Round Vivien Pedestal Table is pictured with round back Sophie Dining Chairs. Try mixing cozy club chairs with your round dining table. You and your loved ones will want to linger long after dessert is devoured! 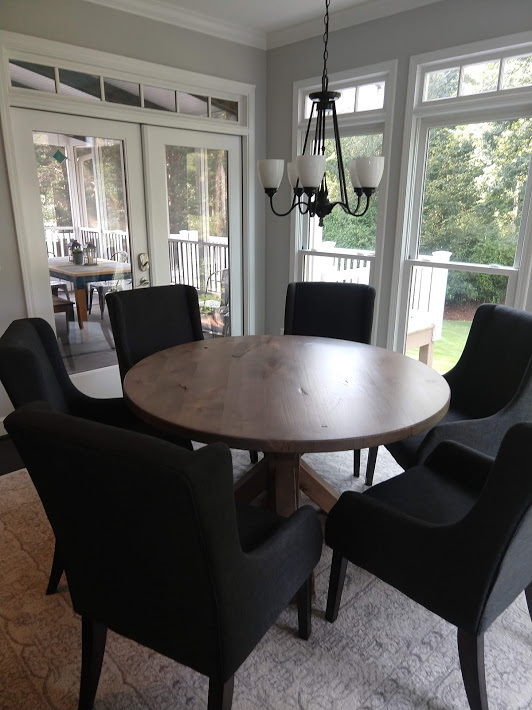 Round X-Base Table in solid Knotty Alder hardwood paired with charcoal club chairs. Check out our Deconstructed Club Chair. 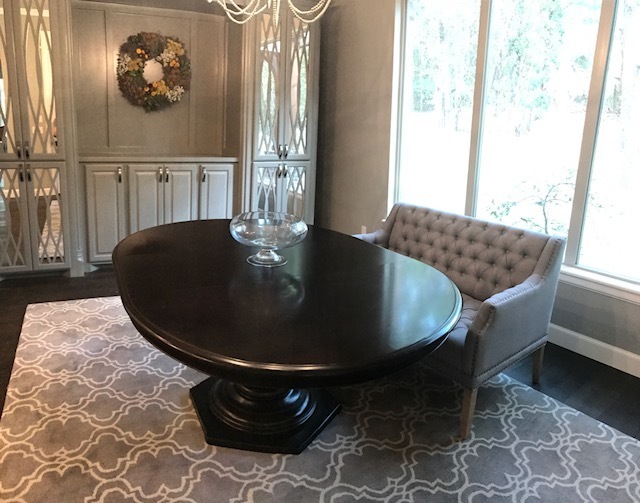 This custom round pedestal table was commissioned by a client for her breakfast nook. Consider using a sette or love seat on one side of your round table. You may be able to find a curved upholstered bench, but if not, a more traditional sette works beautifully as well. Look for a sette or small sofa that is a few inches longer than your table to make getting in and out a breeze. 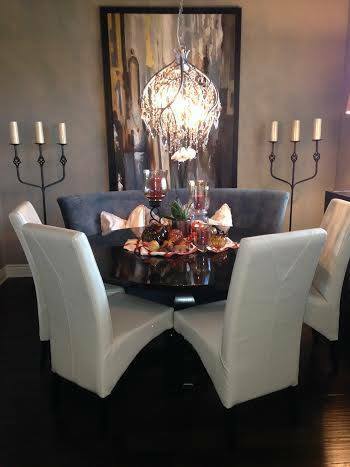 This client paired a large oval table with our Dove Grey Tufted Linen Sette. 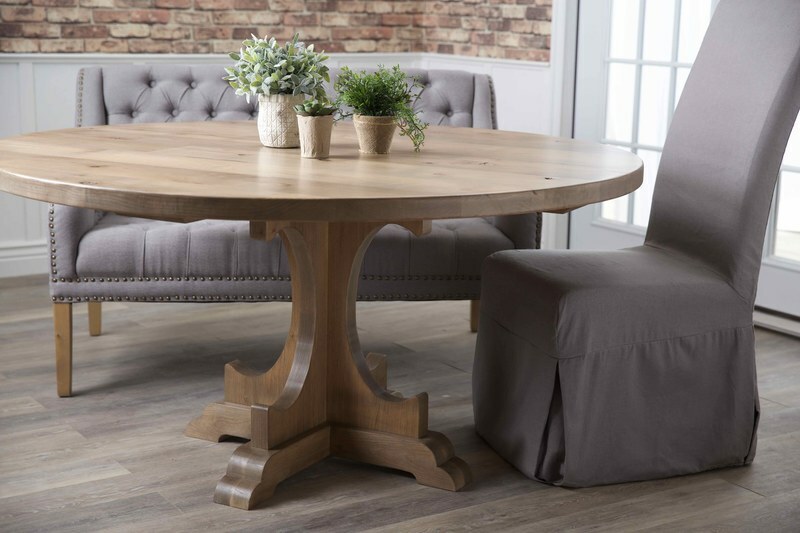 Our Round Caroline Pedestal Dining Table with a Tufted Linen Sette is beautiful in any breakfast room! 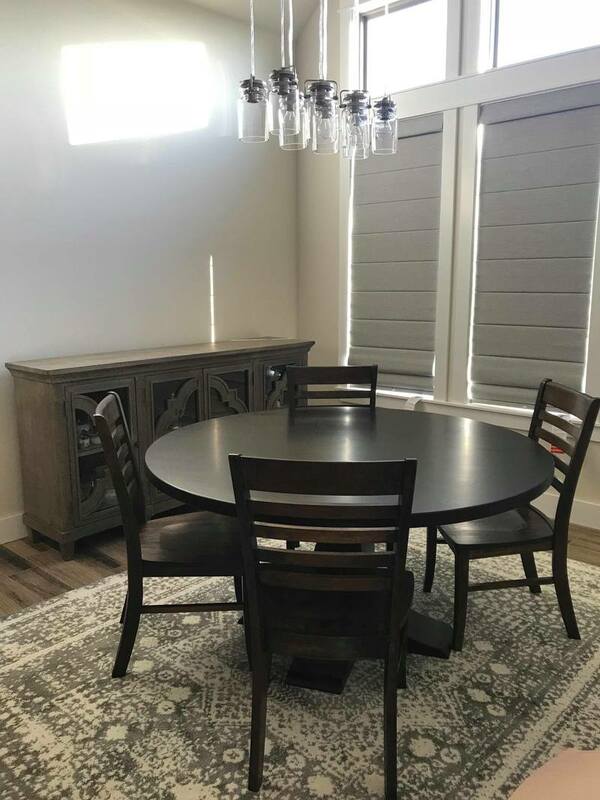 How will you style your round table? Join the conversation by leaving a comment below or send us an email with pictures of your space! We'd love to see what you've dreamed up! Have questions? Our team would love to help. Just shoot your questions to designteam@carpenterjames.com and one of our design consultants will get back to you quickly. Give us a call at 479-633-7557 or leave us a comment below! Ready to customize your new furniture? Let's get started!